The press had some trouble counting the electoral votes on election night. Did they do any better predicting it before hand? 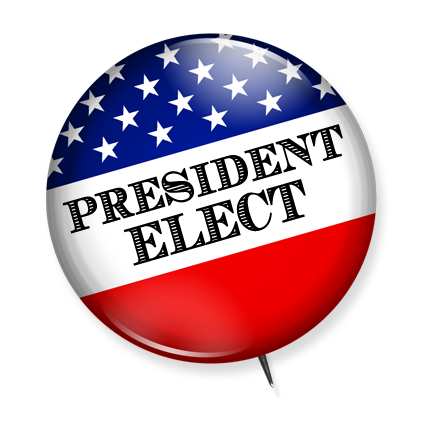 For some of those who tried to predict the outcome of the Electoral College in 2000, it's time to see how you did! This analysis includes ABC News, The Associated Press, CBS News, CNN, Fox News, NBC News, The Orvetti Report, President Elect, the President Elect computer, Portrait of America, and the Washington Times. GORE | BUSH indicates a correct prediction. GORE | BUSH indicates an incorrect prediction. TOSS indicates no prediction was made because the state was considered a toss-up. * One DC elector abstained from voting. For the puposes of this analysis, that vote has been placed where it was supposed to go. I don't mind pointing out that the President Elect computer analysis had the best prediction rate, predicting all 51 states and only missing four. However, I am a little distressed that the computer bested me and the President Elect projections. I also picked all 51 states but missed seven. Our friends at The Orvetti Report were also brave enough to predict every state; they did very well, missing only six. Judging the other news outlets is almost impossible, since they all refused to predict states they weren't sure about. (If only they had stuck with that on election night!) Collectively, the only states the other eight missed were Iowa, New Mexico, Tennessee, West Virginia, and Wisconsin. Thirty-three states had a candidate unanimously predicted to win. Two states, Arkansas and Michigan, were called as toss-ups by everyone (excluding the three groups that didn't use toss-ups). The Orvetti Report was the only one to correctly predict that Arkansas would go to Bush. No one was willing to predict Gore might win Florida. No one correctly predicted Gore would win New Mexico. FOX News was the only one to correctly predict that Oregon would go to Gore. President Elect and the PE computer were the only ones to correctly predict that Tennessee would go to Bush. The President Elect computer was the only one to correctly predict that Wisconsin would go to Gore.